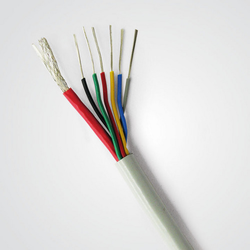 We are a leading Manufacturer of teflon insulated cables from Chennai, India. is polytetrafluoroethylene. Polytetrafluoroethylene (PTFE) is a synthetic fluoropolymer of tetrafluoroethylene that has numerous applications. The best-known brand name of PTFE-based formulas is Teflon by Chemours.